Some of the advances are really interesting. However, you have to determine if the functionality is worth the extra money. A French door refrigerator costs between $1,599-$2,599 on average. These products can be three times that in price. So let's look at both companies, products then compare. 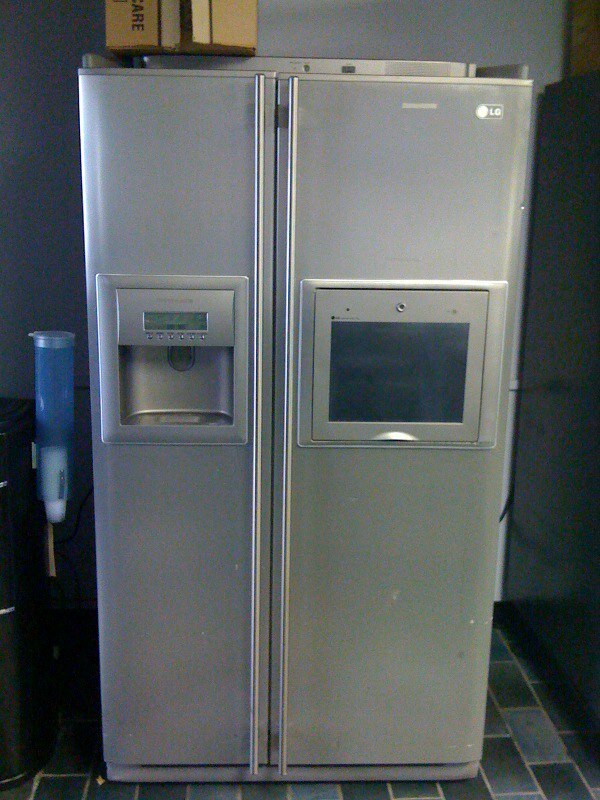 But first a short history of technology in refrigerators. I loved this refrigerator when we first displayed it 12 years ago. This LG had Wi-Fi, camera, and TV. You could stream music from the refrigerator as well. We never sold one and it exists now as our warehouse refrigerator. 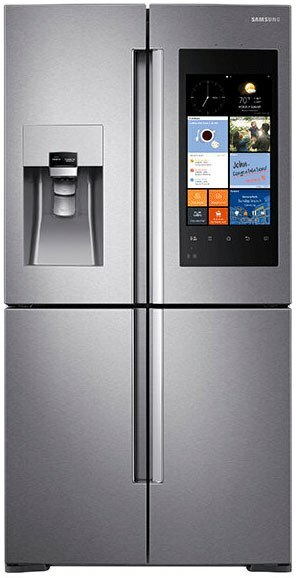 These refrigerators should have greater demand because you are becoming very familiar with apps like Nest and controlling your home from your phone. They are almost half the price because technology has become cheaper to deploy. That said, let us look at both brands and products. Samsung is a corporation comprised of 80 different businesses that manufacture a wide variety of products which account for 17% of South Korea’s total gross domestic product. Beginning in 1969 in Suwon, South Korea they have made everything from calculators and televisions to audiovisual devices and even skyscrapers. They now also manufacture kitchen appliances that incorporate some of the same innovative technologies used in mobile phones and other electronic devices. All of these factors have contributed to the launch of what some may consider the most innovative refrigerator in the world. Family Message Center - The StickiBoard and WhiteBoard features let you leave messages for family members and sync up calendars from your connected mobile device. LG Electronics has 4 business units, Home Entertainment, Mobile Communications, Home Appliances & Air Solutions, and Vehicle Components, and 128 operations worldwide, employing 83,000 people. LG and Samsung are mirror images of each other and appliances are a relatively small part of their overall business. Both focus on technology and design. Door-in-Door with ColdSaver Panel - allows for quickly getting easy in-and-out access to beverages and snacks. Food can be accessed without opening the entire refrigerator, which reduces cold air loss by up to 47% and saves energy. 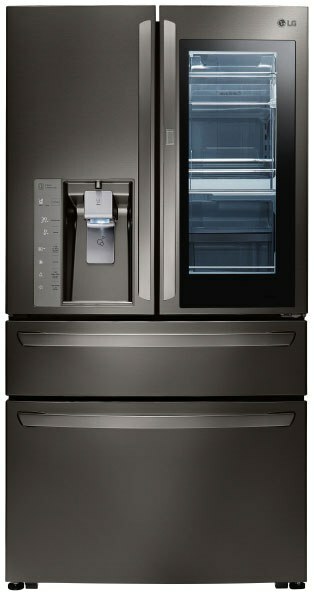 The black stainless steel finish provides an elegant and sophisticated look and resists scratches and fingerprints. Both refrigerators share many features. They both have apps and you can control the basic temperature functions, filters etc. There are differences. Samsung has four doors whereas LG is a double French door. The LG is more convenient for avoiding stooping, but Samsung is a true flex in the 4th lower right-hand door. So it can be refrigerator or freezer. 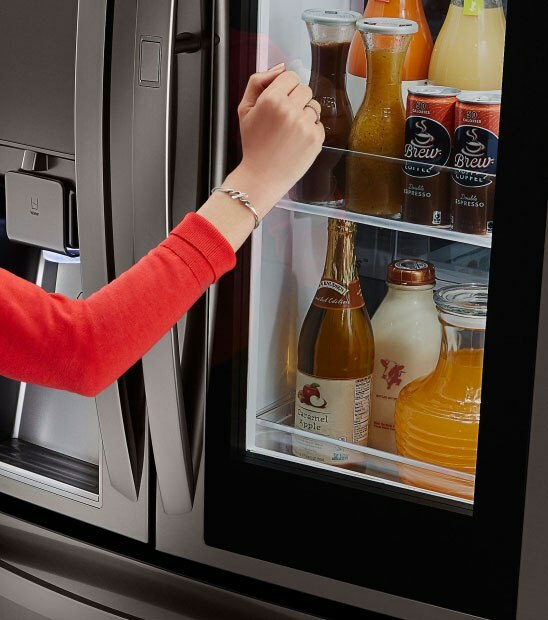 LG's main advantage is the door within in the door (although Whirlpool had it in the 1970s), which allows you immediate access to juices, milk, and the main foods without opening the main door. The InstaView of knocking twice to illuminate the interior is also pretty cool. Samsung reminds me of the old LG with a computer on the front to leave messages and access the internet. They added cameras on the inside so you can see inside the refrigerator while you are shopping. Both refrigerators have intriguing features. They are both so different that you can buy on or the other based on features. However, the best question beyond the cool factor is: What do you need and what will you use. 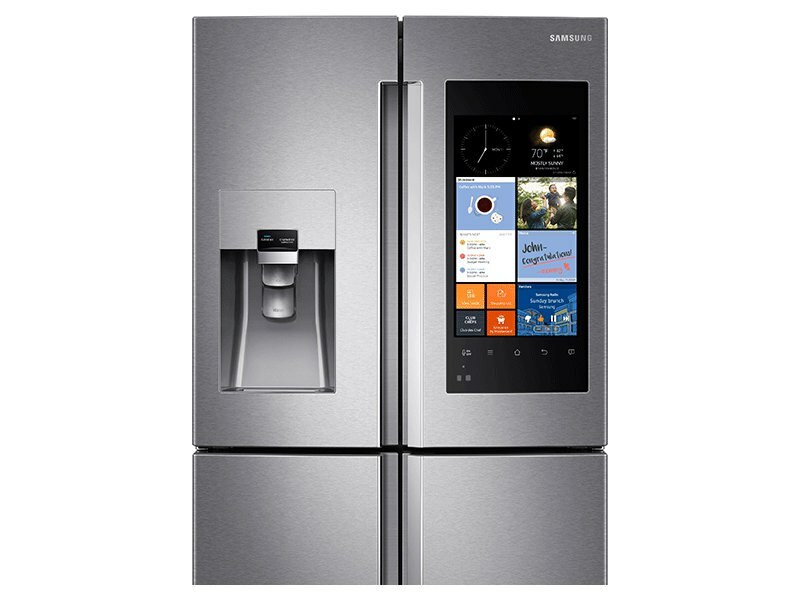 Want to learn more about the latest refrigerators? 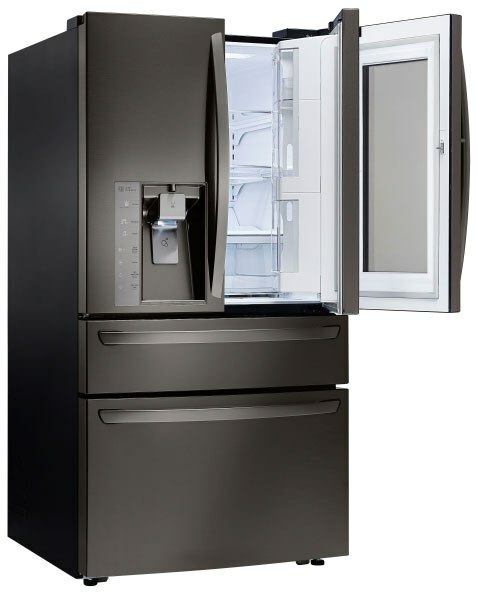 Check out the Yale Refrigerator Buyers Guide with the latest features, sizes and detailed profiles of the main brands. Over 200,000 people have read a Yale Guide.